Benue State Deputy governor, Engr. Benson Abounu has revealed that the Consultant that handled the payment of January Salaries to workers in the State is not known to Benue State government. Engr. Abounu who made this startling disclosure today on the floor of the Assembly when he appeared before the lawmakers, noted that at no time did the State Executive Council approved the engagement of Remita Consultants to handle payment of salaries or any other assignment for the State. 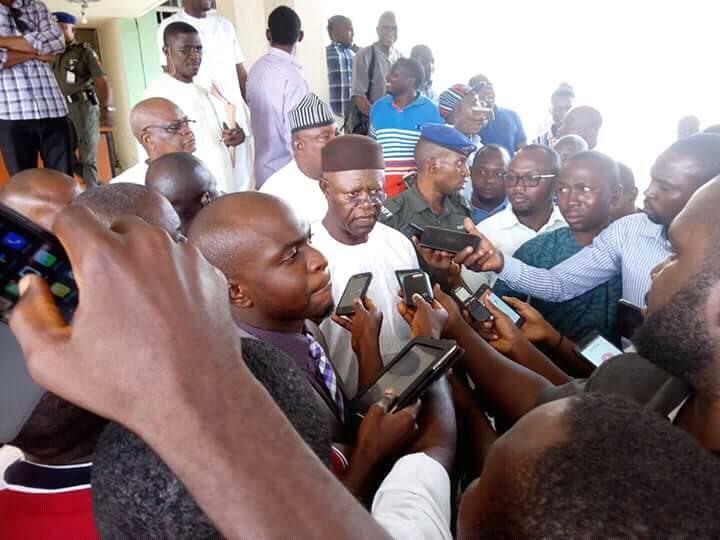 The Benue State House of Assembly last Thursday summoned the deputy governor who is the Chairman of the State of Emergency Committee on Salary to appear before them to explain reasons behind the discrepancies noticed in the payment of January salaries to workers. He also disclosed that the Data that was used by the Consultant, Remita Consultants did not come from the State Emergency Committee on Salary despite directives by Governor Samuel Ortom that the report be used for the payment of January. According to him, there was no need to hire a Consultant to handle payment of salaries in the State saying bulk of the job that could have handled by a Consultant was painstakingly done by his Committee. The Deputy Governor said that base on the findings from his Committee, the total wage bill of the State has been reduced from N7.8billion to N5.5billion.